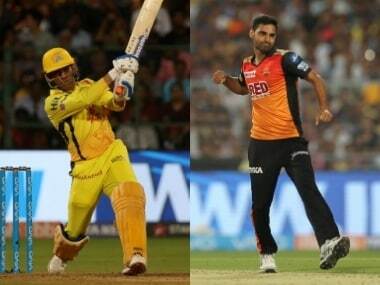 Chennai Super Kings vs Sunrisers Hyderabad IPL 2019 Match 41 Live Updates: Excellent start from Deepak Chahar, getting the shape into Davey Warner, not offering slighest room to the room. Warner opens his account with a couple behind backward square leg and will retain strike with a single of the final ball. Neat start for Chahar and CSK. 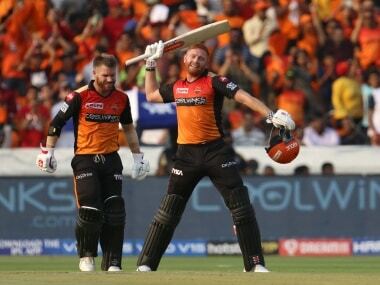 Warner and Bairstow are currently sitting at the first and second spots respectively in the leading run-scorers' list in the IPL 2019. Kuldeep Yadav has only got four wickets in nine IPL games at an economy rate of 8.66 and KKR dropped him in their 10th game even though his replacement, KC Cariappa, fared worse, giving away 34 runs in two overs. 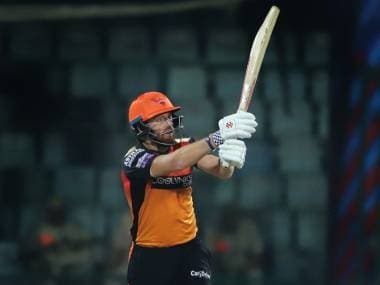 Chasing a target of 160, Warner struck 67 off 38 balls hitting three fours and five sixes while Englishman Bairstow punished the hapless KKR attack with seven boundaries and four maximums in his unbeaten knock of 80 off 43 balls. 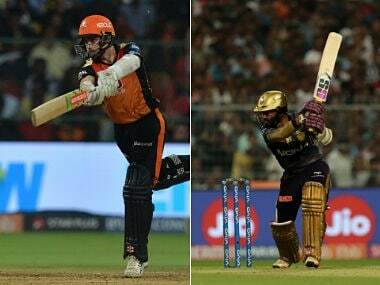 SRH vs KKR IPL 2019 Match 38 Live Updates: SIX! It's over! 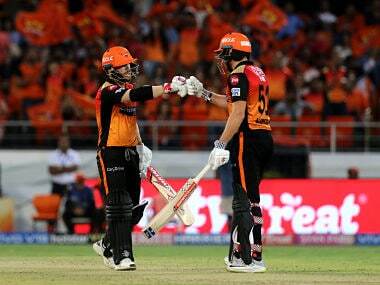 SRH beat KKR by nine wickets and Bairstow remains unbeaten on 80 off 43. 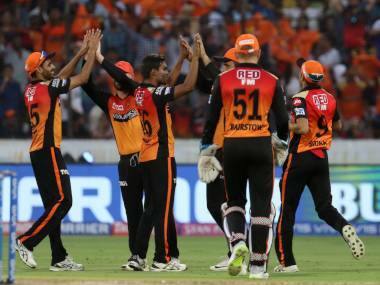 SRH snapped their three-match losing streak with a win over table leaders CSK and KKR now need to do the same having lost their last four games. 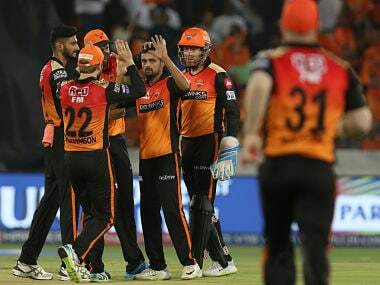 SRH defeated CSK by six wickets in IPL 2019 as Rashid Khan once again put up a marvelous bowling display and David Warner and Jonny Bairstow struck fifties. 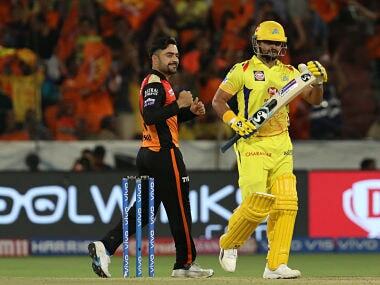 Chennai Super Kings (CSK) were careless just with the bat, but they were listless in the field too against Sunrisers Hyderabad at the Rajiv Gandhi International Stadium. 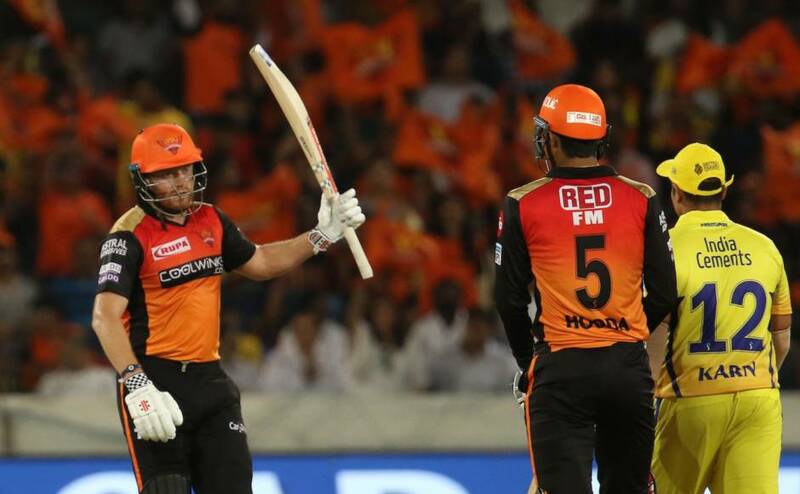 David Warner played in the manner that defines his batting after the bowlers gave very little away, helping Sunrisers Hyderabad humble Chennai Super Kings by six wickets in the IPL here Wednesday.